It’s Fuchsia season inside and outside the postal system at the moment. 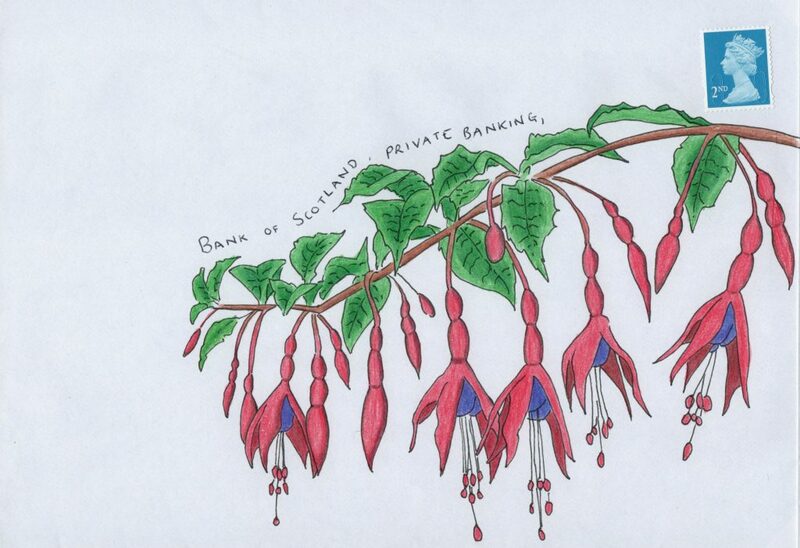 This is the third in our series of fuchsias and is heading to my bank. This is my favorite fuchsia color, dark purple and pink! Lovely.